A week after his alleged accomplice admitted to robbing a man who was about to lend him money, a fish vendor appeared before a city court and denied the same charge. 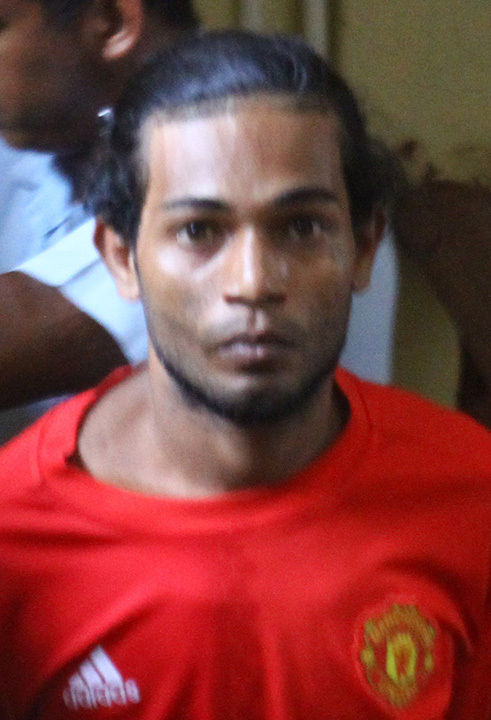 Jonathan Ishmael, 28, on October 4, 2018, at Ramp Road, East Bank Demerara, allegedly robbed Ravindra Seodat of a silver Samsung cellphone valued $20,000 and $14,00 cash, while being in the company of another and while armed with a knife. Just about a week ago, another man, Mohammed Shavi, pleaded guilty to the same charge and was sentenced to 36 months in jail. However, Ishmael pleaded not guilty when the allegation was put to him by Magistrate Fabayo Azore in the Georgetown Magistrates’ Court yesterday. The police prosecutor objected to bail based on the seriousness of the offence. According to the facts, on the said date, Seodat was walking on the road when Ishmael and another rode up to him on a bicycle and asked for $200. While taking out the money, one of the two men reportedly pulled a knife out and pointed it at Seodat, and took his phone and money away. Ishmael, a father of two, was remanded and told to return to court of November 28 for his next hearing.